Submitted by dave on May 21, 2007 - 5:28am. Awful Fate of a Band of Mexican Soldiers. Crushed in a Canyon by Boulders Hurled by Indians. Torture Inflicted on a Physician Who Went to Aid the Wounded. Submitted by ken on May 20, 2007 - 9:13am. TAKEN ON MEXICAN SOIL AND KILLED. Submitted by ken on May 19, 2007 - 9:08pm. PHOENIX, Arizona, Feb. 24. -- A dispatch received here yesterday from Bisbee, near the Mexican border, states that Eduardo Lopez, a desperado wanted in Mexico for the murder an officer at Fronteras, was turned over to the Mexican authorities under extradition. 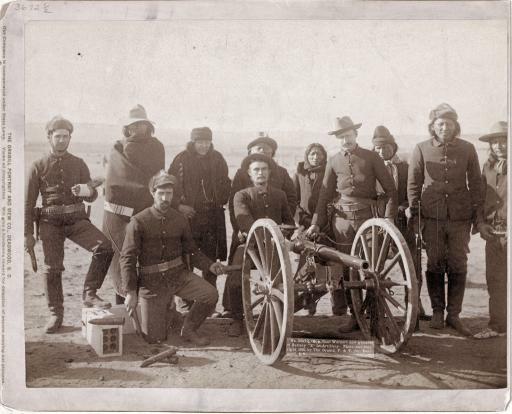 The Territorial officers accompanied the Mexican officers with the prisoner to the line. The Mexicans took Lopez 300 feet upon Mexican territory, bound him to a post, and shot him dead. Lopez had killed a score of men in Sonora and in this Territory in the last five years.